MPC boasts over 25 years as a global leader in visual effects, with industry-leading facilities in London, Vancouver, Montreal, Los Angeles, New York, Amsterdam, Bangalore and Mexico City. The creative studio’s portfolio includes work on blockbuster hits including ‘Life of Pi,’ ‘World War Z,’ ‘The Lone Ranger,’ ‘The Secret Life of Walter Mitty’ and ‘Man of Steel’, as well as famous advertising campaigns for brands such as Samsung, Cadbury, Sony, Coca-Cola and John Lewis. MPC’s Motion Design division creates award-winning work for broadcast, film and advertising industries across a wide range of formats including commercials, promos, title sequences and more. Home to some of the most highly accomplished creative designers and motion graphics artists in the industry, MPC’s team has a broad range of skills, from design to animation and compositing, and also houses a number of directors. The studio often provides desktop-based alternatives to traditional suite-based solutions. 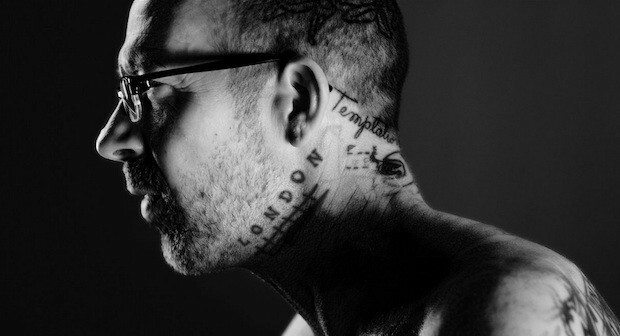 Recently, MPC’s Motion Design team worked with London-based production company Rogue Films and director Alex Nicholson on “Mr X,” a short, dark film featuring Duncan X, a tattoo artist from South London. As Duncan reminisces on his life, his seemingly bare skin transforms into the tattoo-covered canvas it is. By animating and retracing Duncan’s literal body of art, the Motion Design team, led by VFX supervisor John Sunter, illustrates his spoken word – “I view tattooing as a bit like scratching away at the surface and kind of revealing what’s really under there” – successfully exposing Duncan’s true self. All this was done through extensive tracking and compositing, using mocha Pro in collaboration with a number of additional VFX tools. Imagineer Systems [IS]: Tell us about the software you used to create this project and how mocha Pro integrates into your workflow. MPC: For the short film “Mr X” by Director Alex Nicholson, the main software for the animation and compositing of the tattoos was Adobe After Effects®, along with mocha for motion tracking. To create the liquid ink effects and the smoke, we used RealFlow and Cinema 4D. During production, Duncan’s tattoos were covered up with makeup and markers were added. Nuke was used for cleanup and also to patch up some of the makeup so we could have a tattoo-free base to work from. The grade was done in our Baselight suite. IS: How many shots were tracked using mocha? How did mocha assist the process? MPC: We used mocha on over 25 shots. The project had a lot of tracking shots that needed to be done in a fairly short turnaround, the initial schedule being just two weeks. mocha provided the best workflow for us as we were animating and comping the tattoos in After Effects as well so we could keep the majority of work within one piece of software. IS: Can you talk about any particular challenges or shots that mocha helped on? Would these shots have been more difficult to achieve in another set of tools? MPC: mocha helped us on many shots. The biggest tracking challenge with the whole piece was to ensure the movements of the skin were correct – any slides would be very easy to spot. Using match-moving software and techniques could get us the main movement of the arm, but not the skin stretches. It would have been very time-consuming to have used a 3D solution, as that would have required projecting the animation onto a soft body mesh that moved in exactly the same way as the skin. mocha’s planar tracking allowed us to do a much less time-consuming 2D execution. The 2D technique consisted of planar tracking in mocha, using surface information to create many animated nulls in AE and then using those points to drive morphs using the puppet tool. Similar techniques were used for the ink drops and wisps – both from his skin and the ones on the table. There were a few particular shots that were more challenging than others. One sequence in particular involved close-up shots of Mr X’s face whilst he was talking – this created a lot of movement on his jaw where we had to place the tattoos. The original footage also had no tracking markers, but mocha was able to track the points of his beard and wrinkles on the skin very effectively. The last shot of the sequence sees the camera rotating around him while going in and out of focus, which mocha handled very well. Another tricky shot not only consisted of quite a bit of skin movement but also the arm in the foreground was rotating round. At the same time, the arm in the background was out of focus for the whole shot. This plate did come with markers, which proved invaluable for mocha to grab on to. The rotation was not a problem for mocha to track, and this combined with the puppet tool gave a sense of rotation even though it was all completed in 2D. In addition to “Mr X”, MPC’s Motion Design studio uses mocha AE and mocha Pro for many other tracking projects, including promos for Sony, Nokia and TalkTalk, praising the tool for its easy integration with After Effects and efficiency with screen inserts. The company’s Flame and Nuke artists have also recently used mocha Pro on projects including Public Health England’s anti-smoking campaign, the Ad Council and Assassin’s Creed. On the latter project, while the final comp was completed in Nuke, again mocha assisted on the most difficult tracking challenges.